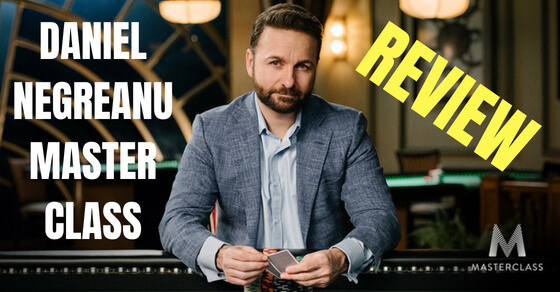 There is an incredible amount of educational material out there these days to help you improve your poker game in 2019. There is so much in fact that it can probably seem a bit daunting at first to someone who is just getting started online. Also, to complicate matters further, not all of this information is good. Some of it is bad and you might actually harm your progress by following it. Lastly, it is also important to remember that everybody learns differently. What might be effective for one person might not be for another. So I decided to put together this list of the top ways that I would choose to improve my game if I had to start all over again today. They always seems to be at the tables playing poker! Why wouldn't they after all? The whole point of the game is to play it and make money. There is simply no way that you can ever become great at poker if you spend most of your time sitting around watching it, talking about it or reading about it. But there is another hidden benefit when you make playing the game your main priority. It might sound cliche but I have always maintained that learning from your own mistakes is the number one way to improve your game. 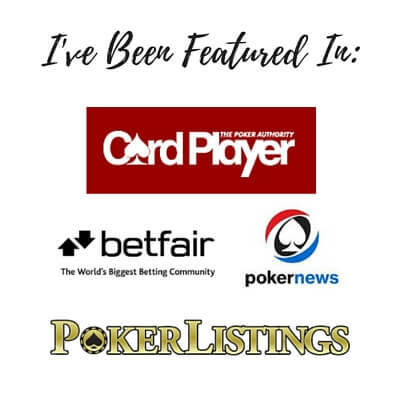 I got my start in poker during an era (mid 00s) when many of the educational resources that I will discuss later on in this article were simply not available. However, I was still able to teach myself to win primarily by seeing what works and what doesn't firsthand. When you play millions and millions and millions of hands of poker like I have then you tend to see the same situations over and over and over again. Eventually, even the most stubborn person on earth will notice that they keep losing repeatedly when they do X. They will eventually start doing Y. The easiest way to start learning from your own mistakes is to review your hands after every session. Maybe every session is taking it a little bit too far but when you are just starting out regular session reviews are an absolutely invaluable way to improve your play. When I wasn't throttling millions of hands of online poker into my brain I was spending countless hours reviewing my own hand histories and finding ways to improve. If you ever want to push through and become truly elite in this game then you are going to have to learn to think the game through on your own anyways. I think it is a good idea to start working on those habits right from the very beginning. 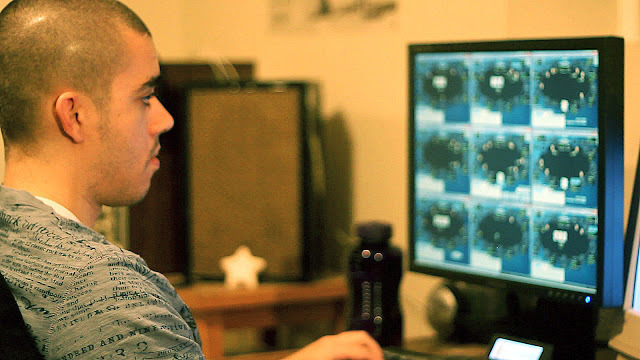 The easiest way to review your play by far is with the aid of a poker tracking program. This is one of the biggest reasons why I suggest getting familiar with one as soon as you get a little bit of experience playing online. One of the best features of poker tracking software is the ability to filter for specific scenarios. This allows you to get the exact data over a big sample on whether you are winning or losing in a specific spot. For example: When I raise the flop with a draw am I showing a profit or a loss? If I am showing a profit then I will keep raising them and if my winrate is really high then I will do it even more. If I am in the red in this situation though then I will reconsider my strategy and look at some specific hands to see why I am losing. You can't argue with the raw data and results over enormous sample sizes. It is black or white. You are either winning or losing and you can make adjustments from there. The ability to use a HUD that also comes with these programs is incredible. It allows you to always have data on your opponents in real time. This simply allows you to make better decisions. I personally use PokerTracker 4. Hold'em Manager 2 is a good poker tracking program as well. You can filter for specific scenarios like the one that I mentioned above in both of these programs. You can also try out either of these programs for free. I have written extensive guides on both how to study your opponents and run filters as well as optimal HUD setup for Pokertracker 4. 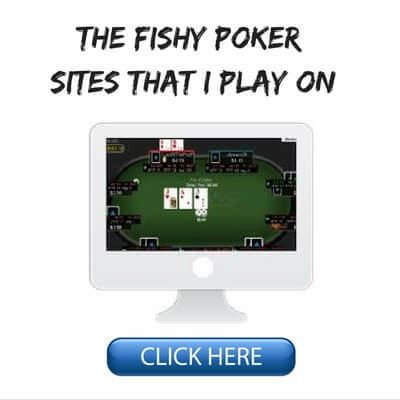 Poker video courses revolutionized the poker training industry several years ago and I think they are still one of the absolute most efficient ways to get better at poker quickly. The best part about poker video courses is that you get to essentially look over the shoulder of some of the best poker players in the world and see exactly how they think. There really is no substitute for this kind of instruction. You get to see the game how they do and learn from all of their vast levels of experience and history of success. However, it should be noted that I used the word "study" above instead of "watch." Poker video courses are not like movie night. No popcorn is needed. They should be treated instead like a university lecture. In order to benefit the most from them your complete attention is required. This also means taking notes and also asking the coaches any followup questions that you may have. It also means putting the knowledge you get into practice at the poker tables right away. With all of that said, here are the top 3 poker video courses in 2019. 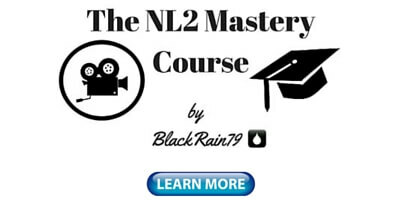 The best all in one poker video course in the world today. 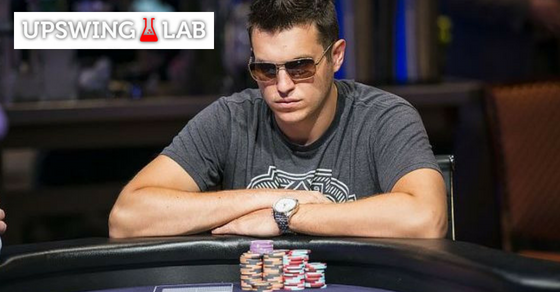 Taught by Doug Polk, 3-time WSOP bracelet winner with millions of dollars in winnings both online and live. I think that registering for the "Poker Lab" is arguably the best investment you can make for your poker game in 2019. This course is especially suited for low and mid stakes cash game players who are looking to quickly get better and start winning big. You can read my full review of The Upswing Poker Lab right here. Next on the list is Elite Cash Game Mastery. Now I need to warn you though that this course is for advanced players only. Weekend hobbyists need not apply. This course teaches you how to become a world class pro and it is very high level. That is why it is taught by arguably the best online poker player on planet earth right now. 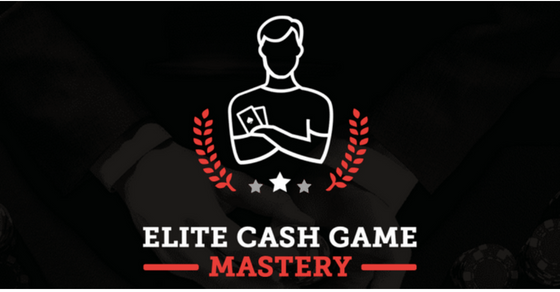 You can read my full review for Elite Cash Game Mastery right here. Last on the list is Winning Poker Tournaments With Nick Petrangelo which is the #1 poker video course in the world for tournament players. 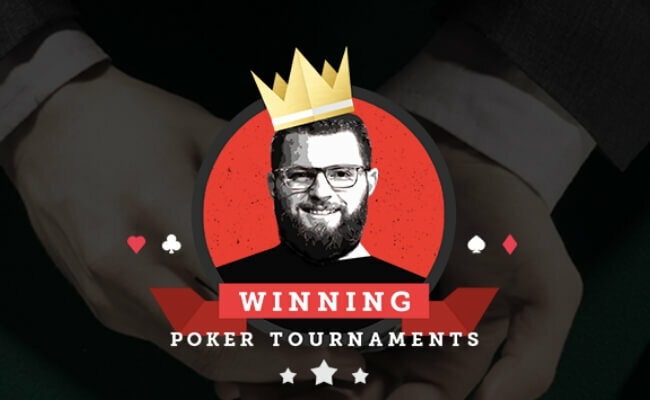 This course is taught by one of the best tournament pros in the world with multiple WSOP bracelets and millions of dollars in winnings, Nick Petrangelo. He isn't a big name pro like Daniel Negreanu but he has been quietly destroying the tourney scene for years. In fact this guy won nearly $7 million dollars in high stakes tournaments just last year in 2018 alone! This is a very high level tournament poker course for very serious poker tournament players. You can read my full review for Winning Poker Tournaments With Nick Petrangelo right here. Some people learn better through reading than watching. And also of course, a full length book allows for a much deeper analysis of any topic than any 30 minute training video could ever provide. I think poker literature has improved greatly in the past several years. Just 5 years ago literally all we had were a bunch of books written by some aging live poker pros with little to no experience playing online poker. In fact many of them were written before online poker even existed! Thankfully, this is not the case anymore. In the past several years a ton of quality new titles have been released by online players specifically which provide valuable insight into the way that the game is played today. They also often cover the software that we use today in the modern game such as the poker tracking programs that I just discussed above. 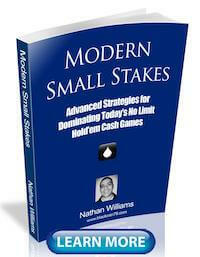 As one of the biggest small stakes online poker winners of all-time, I have written 3 of these books. There are plenty of other good books out there as well for the modern game. You can find them with a simple search of "poker books" on Amazon. 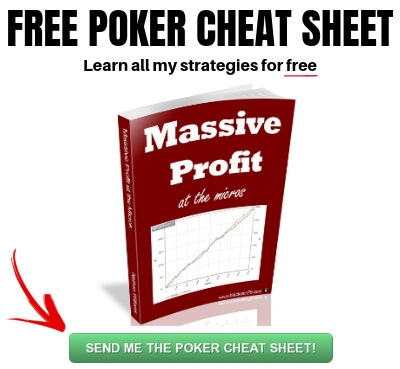 Once again, just like with a poker video course, you will get exactly what you put in with poker books. They are not meant to be skimmed. And they weren't written to entertain you. 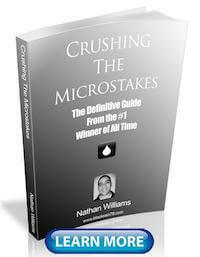 The main goal of any poker book should always be to improve your winrate at the tables. So they should be studied like a college textbook. The material should then be applied at the tables right away. Hiring a coach is probably the single most effective way to improve your game. A highly skilled coach can make specific suggestions that are tailor made for you. But this is also the most expensive option out there. Finding a good coach can sometimes be a bit of a challenge as well. When searching for a coach some red flags to look out for are the lack of actual results at the tables and the excessive use of "testimonials" and other gimmicky marketing tactics. Highly sought after coaches have no need to advertise their services in this manner. The get plenty of referrals coming their way through word of mouth alone. I would only hire a coach if you have played quite a bit online, moved up a few stakes, but have hit the proverbial brick wall. Because if this is not the case, then there are probably better (and cheaper or free) options out there in the mean time to help you get the fundamentals down. However, some people prefer that personal 1 on 1 interaction and specific attention to their game and are willing to pay for it. 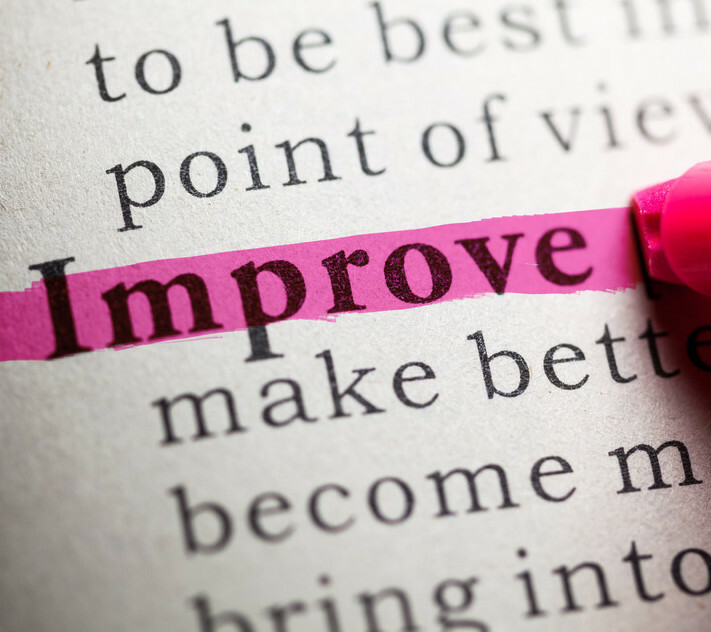 Hiring a quality coach can make a big difference for them. And just for the record, since people ask me all the time. Sorry, but I do not coach anymore. Getting a regular study group together or a circle of poker friends to discuss hands with is another great way to improve your poker game. Although it rarely happens, these groups should be taken seriously and conducted in the same manner as a business mastermind group. That is, there is a clear schedule set for when you meet up and what you will discuss whether it is in person or online. And each member of the group is held accountable by the others and pushed forward to succeed. The biggest problem though is finding the right people. You need to remember that only about 5-10% of people are actually really big winners in this game over the long run. These are obviously the people who you want in your group or circle of friends. Furthermore, it is also better to discuss the game with somebody who does not play at your stakes (higher is always better). It is not a good idea to become friends with people who you see at the tables on a regular basis. You don't want a reason to ever soft play versus anyone. Twitter and forums are probably the two best ways to get to know other poker players and make friendships or form a study group. There is strength in numbers and poker does not always need to be such a solitary endeavour. Unfortunately most poker blogs do not last very long because it takes a rare combination of somebody who is a long term winner in the game and also likes to write about it on a regular basis. Most people get all excited to blog about poker at the beginning but as soon as things don't go their way for awhile or something else pops up in their lives, they quit. The other issue is that even when you find a regularly updated blog from a big winner most of the content is often only about their results and travel adventures. Therefore it sort of lacks in any real educational value. However, it is still very useful in my opinion to gain insights into the mind of a top winner and especially how they react when adversity strikes. If nothing else it might inspire you. Poker forums (at least the big ones) have unfortunately gone downhill quite a bit in recent years. On the largest one that everyone knows about there was actually a concerted effort about 5 years ago by a lot of winning players to "stop posting strategy." You know, don't educate the masses. I actually agreed with this sentiment at the time as well and stopped posting. However, I soon realized how futile this was. Regardless of what I choose to say in public the information is going to get out there through training sites, books, coaching, blogs and so on. But still to this day I don't know very many big winners who post frequently on huge forums like TwoPlusTwo. And I don't think it is really even about not wanting to educate the fish anymore. It has more to do with the large amount of noise and endless flame wars that all big open public forums like this suffer from. It should be noted that most big-time winning poker players have never posted much on forums to begin with though. Why? Because they are busy at the tables playing! You don't get paid to make 10k posts on a forum. High level poker discussion still does exist on the internet but it has gone much more underground in recent years especially via private Skype groups and in some cases on smaller forums. The best forums these days are actually often attached to training sites. The members there are usually paying subscribers and are therefore much more likely to be serious about the game. 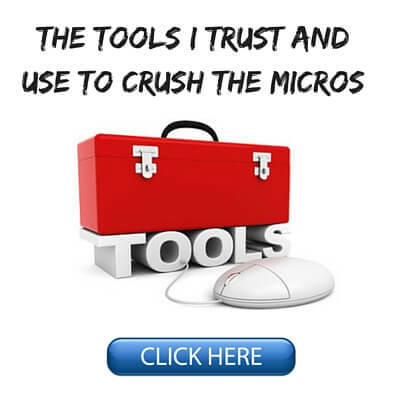 Ok I know I said the top 9 but I think that my own blog (the one you are reading right now) is a pretty good way to improve your poker game especially if you play at the micros. I publish in depth strategy articles every single week. My "Start Here" page has a complete listing of all of my most popular posts organized according to skill level. I also regularly put out micro stakes strategy videos on my Youtube channel. 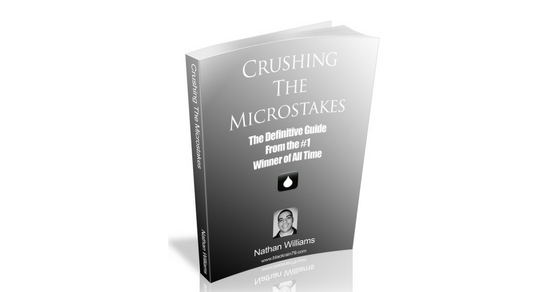 And last but not least, I provide tons more exclusive strategy tips on my free newsletter and give away a free copy of "Massive Profit at the Micros" - a short ebook describing how I became one of the biggest winners ever at these limits. There are many different ways to improve your poker game in 2019. The one that is right for you depends a lot on how you learn the game most effectively. A variety of different methods is probably the way to go though for most. However, what I do know for certain is that there are very few big winners out there that haven't played an absolute ton of hands and spend a lot of time reviewing them as well. I am not saying that there isn't any value to training sites, books, forums, coaches and the like. All of this stuff is great and will help you improve. But it needs to be done in moderation. The guys who are actually crushing the games are often predictably right where you would expect them to be. On the left of some fish and counting stacks. If you found this article helpful then please do me a favor and share it with your friends on Facebook and Twitter Below! Im an old subscriber of your site. May I get the massive profit book? May I check your recent results somewhere? Any possibilities to get your account name? You know I really like to check from whom I learn. For example, I like the transparency of RIO. Just hit the reply button on the email you just received and send me a quick note. I will send you a copy of the book. I don't know if it worth learn to play poker in these days. I play NL5 and I was moving up to NL10, but I've seen lot of people saying the money in the limits above is scarce. I know I have good potential to learn things and improving skills, but I don't know if worth wasting lot of energy and time in poker. I think I'll start to learn another things like financial investments and let poker in second plan. I've read even programs to play were created, like Cepheus. This is so disappointing, I think the poker golden days is gone. It's a shame because I learned to play this year. There is no question that the "golden days" of poker are gone. People aren't stupid and won't just keep giving away their money forever. However, there is always a pecking order in poker and therefore there will always be good money in it for those who really want it. For most people though poker will always remain a hobby that doesn't really pay so well. Yes, with dedication, the money comes. What really concerns me is the future of the game. I mean, the technology, the bots, etc, it's an unfair competition. What's your position on that? Nevertheless, I'm loving this game, the fact of learning and using my skills to win money alone (I don't like to work with others) fascinates me. I definitely share the same concerns with the online game. I think Pokerstars in particular has been doing a great job lately in cracking down on any software that is crossing that line from analyzing your hand histories to actually telling you what to do at the tables. I also think that they have a top notch security team that is very good at detecting bots. This is probably not always the case at a lot of the smaller sites unfortunately. These kinds of issues will continue to plague online poker until there is industry wide regulation. However, I do not think that it is a significant problem right now overall. Hello Nathan, I'd like to have your Massive profit book too. If you don't mind to send me a copy, I'd be thankful. Sure, no problem. Assuming you are already a newsletter subscriber just hit reply on any email that I sent you and give me a quick note to send you the book. Hey Nathan, nice couple of ideas you got right here. Lately I've been watching a couple of videos on DragTheBar and so far so good. Personally I spend a lot of time blogging and lurking the forums of www.pokerschoolonline.com , the coaches are nice and the training sessions are pretty good as well (like the ones from TheLangolier). Thanks Jorge. I have looked around that site a bit before and it seems like a good resource for micro limit players. 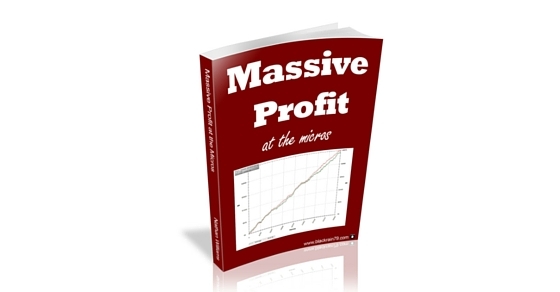 Hello Nathan, I would like to have your Massive profit book too, thank you. Sure, you can sign up for the newsletter to receive it right away. Or if you are already subscribed then just hit reply on any email that I have sent you and let me know that you want it. All comments are from 2015. I think I started following you around that time but then stopped for a while since I had moved to Spain for the past two years. Now I’m back in the US and thinking on getting back to poker again. My name is Kevin and I remember your blog helped me a lot back then. The knowledge I gathered here made me feel in control of everything, even when I’d lost a hand. I just wanted to say thanks a lot. No problem Kevin glad I could help you!